As your Cigna dental insurance dentist in West Hollywood, Dr. Ghasri is dedicated to helping you maintain your oral health through a combination of education and high-quality dental care in our state-of-the-art dental facility. Our multi-specialty practice is pleased to be able to offer you the treatments you need in one convenient location. Our dental professionals have more than 10 years of experience working together as a team, and we are fully committed to your oral health care needs. We provide a full range of dental care services, including general and routine dentistry, sedation dentistry, restorations, orthodontics, endodontics, periodontics, and cosmetic dentistry. Our team of specialists combine artistic excellence, technology, and compassionate care in order to bring you the kind of treatments focused on maintaining good oral health and achieving a naturally beautiful smile. 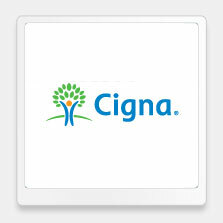 As your West Hollywood Cigna insurance dentist, Dr. Ghasri educates and informs her patients about their treatment options and provides coordinated care designed with their unique oral health needs and goals in mind. Dental cleanings and exams are the foundation of good oral health, but fillings, root canal treatments, extractions, and similar dental treatments can help prevent serious oral health problems from worsening. Orthodontics can correct misalignments through traditional braces or Invisalign clear plastic aligners. If you have symptoms of periodontal disease, your Cigna dental insurance provider in West Hollywood, Dr. Ghasri, may suggest periodontal treatments, which can include scaling and planing, antimicrobials, laser treatments, or periodontal surgery. Your West Hollywood Cigna dental insurance provider, Dr. Ghasri, understands that while we are concerned about the health of our patients’ smiles, they are often concerned about the appearance of their smiles. That’s why we offer a full range of cosmetic procedures to enhance and perfect your smile, including teeth whitening and porcelain veneers and Lumineers, which are wafer-thin translucent shells designed to cover imperfections, such as gaps, chips, stains, and minor misalignments. We strive for excellence and ensure you leave our office healthier than when you arrived. Our board-certified team of dental professionals and caring office staff will always give you the kind of individualized attention you deserve. 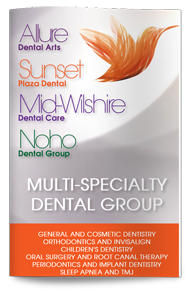 Contact our dentist in West Hollywood to schedule your next dental appointment.